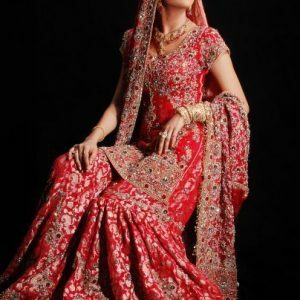 Tags: Amber, Colorful, Mehndi Mayon Henna, Peach, Pink, Sharara. Amber shirt adorned with mainly light golden embellishment on neckline, hemline and side slits. 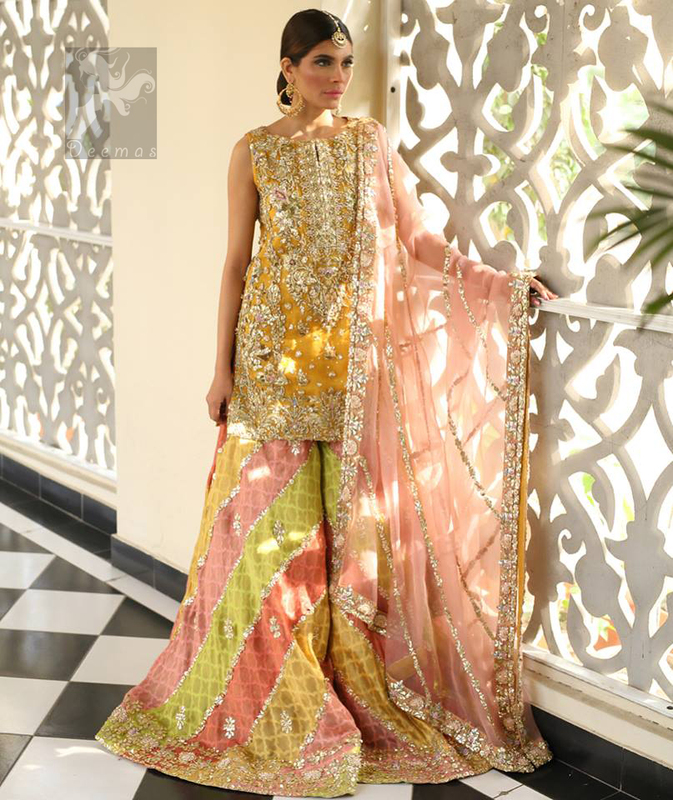 Pink peach dupatta adorned with embellished border and stripes. 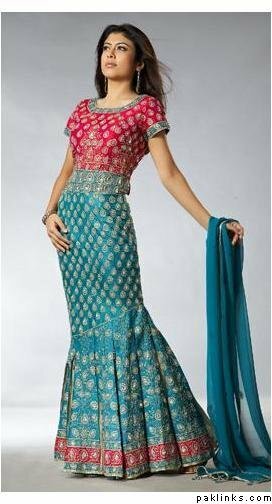 Multiple color sharara adorned with border on hemline, stripes and motifs. Shirt adorned with embellishments on hemline, side slits and neckline. Small motifs and sequence spray. Light golden and other colors of hand embellishment.